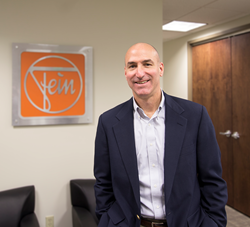 FEIN US is excited to welcome their new Vice President of Sales, Ray Bellavance. Mr. Bellavance brings over 25 years of industry experience and has held various positions in sales, sales management, marketing and executive management with market leading companies including Stanley Black & Decker, Danaher Tool Group and Craftsman. Mr Bellavance is a graduate of Excelsior College and he brings significant experience in value selling, and sales process training, implementation and execution. C. & E. Fein GmbH invented the world’s first power tool. Wilhelm Emil Fein founded the company in 1867. FEIN invented the first power tool – the electric hand drill – in 1895. Today this long-established company is a power tool manufacturer with an international reputation. This first-class German manufacturer develops and produces application solutions for the metalworking, interior construction, and automotive sectors and is the specialist for professional and extremely reliable power tools for industry and trades. FEIN holds more than 800 active property rights including approximately 500 patents and patent applications. FEIN products are distributed worldwide through 19 international subsidiaries and more than 50 agents. For over 150 years, the FEIN brand has stood for application solutions and premium quality.